There are water hookups. The welcoming reception and the mass of amusing stuff to do have people coming here. 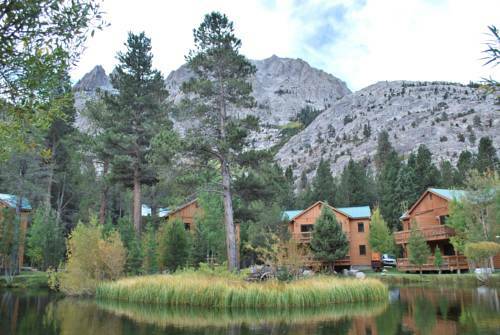 There's such a vast number of things to do at Pacific Crest Trail Trailcamp 931.2 - Lyell Fork Ford including whitewater paddling, swimming, hiking, and fishing, so you won’t get bored. The great local attractions and such a great variety of outdoors recreation will make you pleased you came. California is a wonderful outdoors state. There are so many entertaining things to do close to Pacific Crest Trail Trailcamp 931.2 - Lyell Fork Ford, and what a wonderful location for camping it is. you happen to be in California. Nearby you find the Tioga Road Bridge to Hetch Hetchy Reservoir portion, a class IV-V+ section of whitewater. It's a tremendous 32-mile-from-start-to-finish section on Tuolumne River. Don’t be sure of maintaining yourself dry whitewater kayaking or rafting this section of Tuolumne River. You must check circumstances before you go; whitewater kayaking or rafting may get perilous. A great 33.1-mile-long beautiful backpacking trail boasting a variation between top and bottom of 3,881 feet can be found in the neighborhood; this is the John Muir Trail - section 2. A hard backpacking trail like John Muir Trail - section 2 should take you something like four days. 4.3 miles of striking trail is to be found around here; this is the Gaylor Lakes Trail featuring a variation in altitude of 1,445 feet. Outdoors recreation in the vicinity of Madera, California, the metro area neareast to Pacific Crest Trail Trailcamp 931.2 - Lyell Fork Ford. Find info on campgrounds, marinas, hiking trails, ski resorts, lakes, beaches, parks, whitewater, golf courses and more.